123 CPR is Arizona’s premier American Heart Association CPR and First Aid certification provider serving the entire metro Phoenix area and beyond. 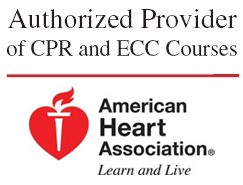 We are an authorized provider for American Heart Association CPR and ECC courses and all courses meet OSHA requirements. At 123 CPR we are dedicated to making CPR and First Aid training certifications available to everyone. We have the perfect program for nursing students, EMT students, caregivers, healthcare professionals, personal trainers,teachers, childcare workers and anyone wanting to learn these lifesaving skills! Please call us at 623.398.5811 if you have questions or to schedule a CPR or Fist Aid class. You can also REGISTER HERE today!